Jasprit Bumrah had gone under surgery after fracturing his thumb during the first T20I against Ireland in June. 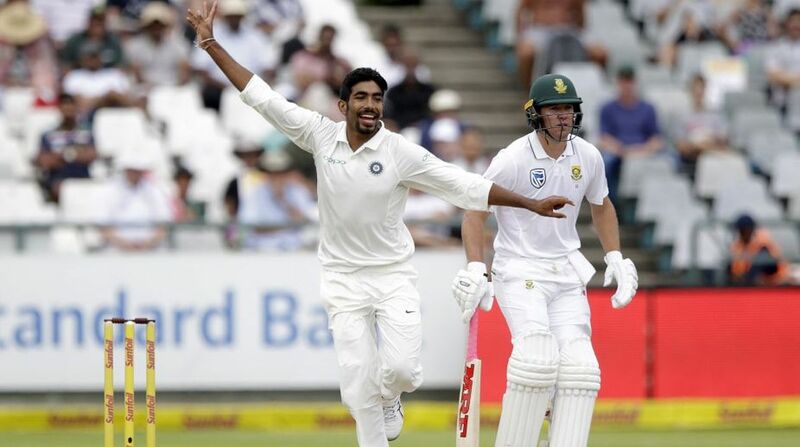 Star Indian pacer Jasprit Bumrah has been ruled out from the second Test against England starting on Thursday (9 August). India’s bowling coach Bharat Arun said on Tuesday Bumrah had not fully recovered from a left thumb injury. Earlier, Indian cricket team management had initially said the Mumbai Indians pacer would recover in time for the Lord’s Test. “He (Bumrah) is bowling fit right now. But it is too early to put him into a match situation. He has bandaged plaster… yet to come out of his hand. For the second Test, he is out of contention,” Arun said while talking to media. “Bowlers did extremely well in the last game. For the next match, we will take a call after seeing the condition and the wicket. In the first Test, the bowlers made big improvement from the first to the second innings at Edgbaston. They did a good job,” Arun added. India’s bowling coach also defended the underperforming batsmen, saying conditions were tough for them during first Test. “Batsmen on both the sides found it difficult. Only Virat Kohli and Joe Root came in contention with the moving ball. The conditions were trying. Challenge is there to adapt. We have our plans in place (ahead of the second Test),” Arun added. Though India’s decision to play five specialist batsmen backfired, Arun said fielding six specialist batsmen do not make sense. “Playing an extra batsman will be considered a conservative move. It makes more sense to play five bowlers,” he insisted.